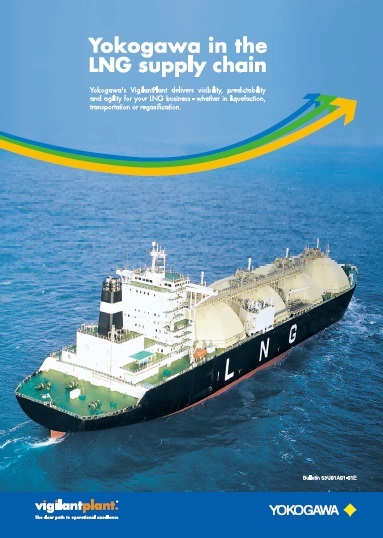 44 regasification terminals use Yokogawa's DCS. 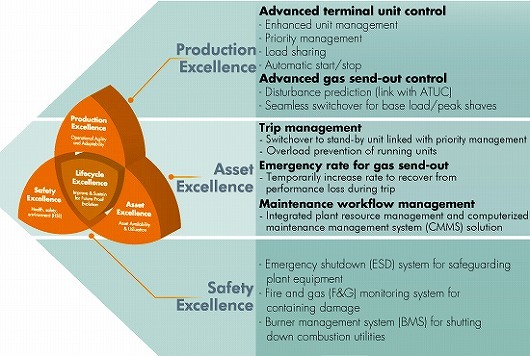 Yokogawa's field-proven Advanced Terminal Unit Control (ATUC) and advanced gas send-out control technologies enhance unit management and simplify operator decision-making during the startup and shutdown of major plant assets, thus preventing inconsistent operating conditions. Through Enhanced Unit Management (EUM) concepts such as optimized load sharing, our customers can increase the operational efficiency and life span of their plants' major equipment. ATUC greatly improves the stability of gas send-out by anticipating disturbances such as a pump being switched off by an operator. Although simple continuous feedback control can also respond to such disturbances, the time needed to recover always incurs a loss. Only Yokogawa offers ATUC. A VigilantPlant® library of ATUC and other engineering templates are also available. Legacy ProSafe-PLC SIS replaced with ProSafe-RS to improve sustainable lifecycle support at LNG terminal. Over the past decade, companies have been using unconventional drilling technology to extract gas and liquid from the readily available shale formations in North America. As the industry gains experience, the production rates continue to rise based on better use of technology to locate resources and to decrease the time from exploration to production. 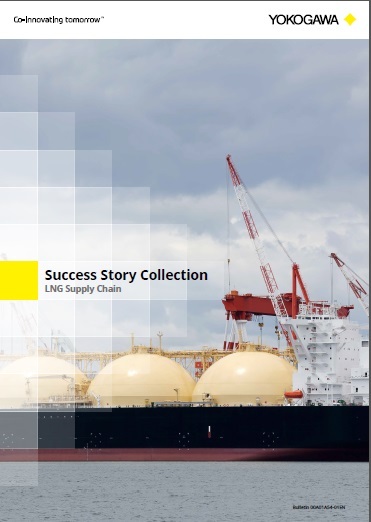 The LNG sector presents challenges for the automation supplier, particularly in the implementation of automation systems for regasification terminals. Yokogawa Europe's business development manager, upstream oil and gas Martin te Lintelo looks at the handling of the potential automation-related problem areas and opportunities.